Following electrification of the southern half of the West Coast Main Line in the 1960s, subsequent decades saw completion through to Glasgow, sectorisation, privatisation, franchise controversy and a full route upgrade. AFTER completion of the wiring covering the Euston-Birmingham-Liverpool-Manchester routes, including via Stoke-on-Trent in 1967, early approval was sought to continue through to Glasgow. But some time elapsed before the go-ahead was received. Electrification north to Glasgow helped to ‘flatten’ the previously fearsome climbs of Shap and Beattock. This is No. 86222 in late-1980s InterCity livery, climbing up to Shap with a northbound working from Euston. Approval to electrify between Crewe (Weaver Junction) and Glasgow was given in March 1970, with through electric working starting on May 6, 1974 – which reduced the journey time for Anglo-Scottish trains between Euston and Glasgow to five hours. Where an Edinburgh portion was provided, diesel haulage remained necessary to and from Carstairs until this line was electrified in 1989 as part of the East Coast electrification project. The proposal looks very good value in today’s terms. The route modernisation – which involved replacing life-expired signalling equipment with four power ’boxes at Warrington, Preston, Carlisle and Motherwell – cost £38 million, while electrification – including 154 locations where bridge clearance was improved – cost £36 million. At current value the total was £705 million, which came within 3% of the original estimate. A five-hour journey time between Euston and Glasgow was achieved by the flagship ‘Royal Scot’ service with one stop en route. The number of daily services was increased from five to eight, using a departure slot of 45 minutes past the hour from Euston and 10 minutes past the hour from Glasgow. One train in each direction used the Glasgow & South Western line via Kilmarnock and Dumfries, which required diesel power over that section. Train running logs from the period are available, and a stand out feature compared to current operating practice is the length of trains. 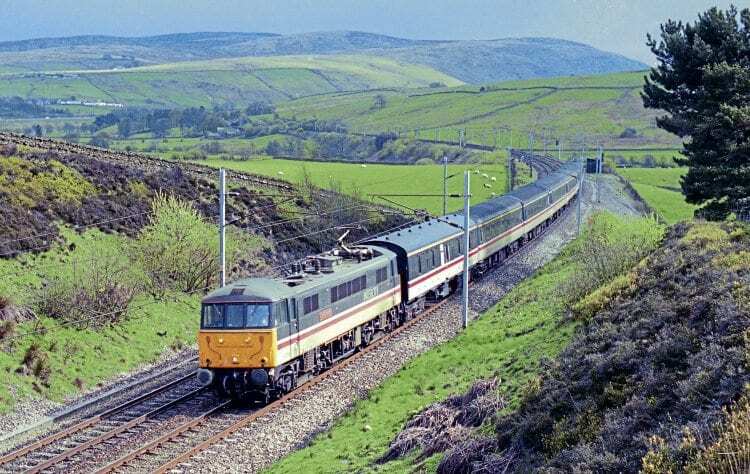 The standard formation of 12 coaches represented a load of 430 tonnes – but, despite this, the 5000hp Class 87 electric locomotives enabled a steady 90mph to be maintained on even the steep climbs to Shap and Beattock. Rail conditions were crucial though, as the relatively light 80 tonne locomotives could suffer from adhesion problems. 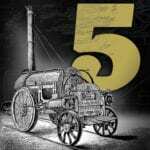 The working timetable allowed 65 minutes for the 90 miles between Carlisle and Preston, which is not much different today. Other services benefited from the linespeed improvements, which made it possible to complete the journey between Thurso and London on a daytime basis. 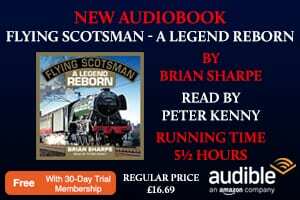 This was achieved by providing a connection with the ‘Clansman’ through service, which ran between Euston and Inverness via Birmingham. In total, West Midlands services were increased from one to four return workings to Glasgow and Edinburgh. One train was extended to run to and from Bristol, where connections were provided for the West Country. Services between Manchester, Liverpool and Glasgow/Edinburgh were also enhanced by the provision of five rather than two daily services, which were timetabled to provide an interchange at Preston so that different starting points and destinations were accessible. The journey time was reduced by an hour to an average 4 hours 20 minutes. As a result of the service enhancement, there were 15 daily trains between Preston and Glasgow and 19 between Preston and Euston. Once the extension of the wiring to Glasgow had been agreed, locomotive development work was put in hand, as higher power would be needed to enable the planned timings over a route with severe gradients. Nos. 87001-87035 plus the final loco No. 87101, which was fitted with the then new thyristor power control system. The Class 87s were equipped with multiple working equipment that was compatible with the earlier Class 86 type and later with time-division multiplexing (TDM) to be compatible with Class 90 locomotives and Driving Van Trailers (DVTs). The original 200 locomotives built for the electrification to Birmingham, Liverpool and Manchester remained in service, although the fleet continued to be depleted by a series of accidents and fires caused in the main by the rectifiers that provide current for traction motors. No. 18100, was not used after 1961 and withdrawn in 1968. Improved fleet productivity, and the relaxation of policy that passenger and freight trains should use electric traction when running ‘under the wires’, meant that the 10 unsatisfactory Class 84 North British machines had been withdrawn by 1980. Ten Metropolitan Vickers Class 82 and 15 English Electric Class 83 locomotives also went by 1983, although a small number were retained for short distance empty coaching working until 1993. As the Class 81 and 85 types became life-expired, there was a need for replacement with what was initially described as a further build of 50 Class 87 locomotives. In the event, this traction became the Class 90 fleet and the first examples entered traffic in 1988. As part of the authorisation to build these locos, Driving Van Trailers were introduced to simplify train working at terminals. However, these came with the penalty of fixed formation trainsets that lacked previous operational flexibility. Once the Class 90 fleet was in service, the final examples of Class 81 and 85 types were withdrawn in 1991. The ‘90s’ were always intended as a mixed traffic locomotive, so when the London Midland AC fleet was allocated to specific BR business sectors in the 1980s, it was noteworthy that all the Class 87 machines were taken over by InterCity, while the later-built type was split between the sectors. InterCity gained 15 Class 90s, Parcels (Rail Express Systems) five, and Railfreight Distribution (which included Freightliner) got 30. British Rail’s Research Division, which was established at the Derby Technical Centre in 1964, proposed the development of a high speed train with tilt technology in 1967. The design would allow a step change in journey time while using the existing infrastructure. It was the result of 11 years of research and development when the first of three prototypes equipped to carry passengers in revenue earning service emerged in 1978. It was made up of two six-car units with power cars marshalled in the middle of the train without a through corridor. This was not the train formation planned for future operations, as production vehicles for squadron service were to be based on three articulated three-car elements, with a driving power car for traction and a driving van with auxiliary power supplies. It was expected that up to 70 sets would be in operation by 1985. The three articulated sets would comprise: two First Opens sandwiching a First Class kitchen car with seating; two Standard Class opens sandwiching a Standard Class buffet car with seating; and a set made up of three Standard Class opens. 156 First and 316 Standard Class seats were to be provided. 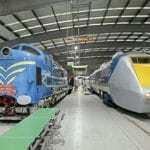 The trains were more expensive than the HST sets entering service at the time, being priced at £2 million (£11 million at current value) compared with £1.5 million for the diesels – but the traction cost per train was estimated to be 80p per mile for the APT compared with £1.82 for HSTs. Substantial revenue benefits were also forecast compared with the existing operations, as journey time between London and Glasgow would be 4 hours 5 minutes for the APT running at 125mph. It was expected that the reduction in travelling time would win back up to 12% of business travel that had been lost to airline competition. Sadly it reflected Government views at the time that the railway was a low priority for funding, and so the three prototype trains were withdrawn in 1986. The technology was sold to Fiat, who subsequently provided the ‘Pendolino’ trains in service on the West Coast Main Line today. The failure of the APT project left the West Coast Main Line without any comparable product to the 125mph High Speed Train formations operating on the East Coast, Great Western, and Midland Main Lines, although three HST sets with a spare power car were allocated for use on services between Euston and North Wales. With the completion of East Coast electrification from King’s Cross to Edinburgh in 1991, West Coast operations then lagged behind the service quality offered, as there had been no equipment upgrade since Glasgow electrification completed in 1974. As a result, when the sector organisation was created, the InterCity 250 project was developed. The intended maximum speed was 155mph using a locomotive and DVT push-pull train similar to the Class 91 + Mk.4 vehicles on the East Coast – although until in-cab signalling was available, the speed would be limited to 125mph. A Class 93 locomotive, developed from the Class 91 design, was proposed with coaching stock designated as Mk.5. BR issued a tender to construct the locomotives and rolling stock in March 1991, with delivery to allow services to commence in 1995. But once again the Government did not approve the expenditure of £380 million, preferring to concentrate available funds on the renewal of rolling stock in London and the South East. The 75mph Class 310 four-car sets introduced at the time the southern half of the WCML was electrified were based on an up to date integral design, but had slam doors. They were replaced on longer distance semi-fast operations radiating from Euston by 48 new 100mph Class 321/4 units, which were based on the Mk.3 coach and equipped with sliding doors. These were built by BREL at York during 1989/90. today in the North West and Birmingham areas. A drawback with the Class 321s was that power was limited to 1438hp and, as a result, they were replaced from 2005 with Class 350 Siemens-built units, which offer a traction output of 2000hp. The first tranche of these vehicles had been intended for South West Trains and so have dual AC/DC operation. A total of 77 four-car sets have been provided in three sub-classes, which result in a variety of 2+2 and 3+2 seating. The earlier Class 350/1 type has been upgraded to run at 110mph, which improves pathing opportunities. To provide greater capacity, the fleet was enhanced by 10 further Class 350/3 110mph units in 2014. The InterCity West Coast franchise commenced on March 9, 1997 for a 15-year period to March 31, 2012, with Virgin Trains taking over 48 train sets of push–pull Mk.2 and Mk.3 vehicles. Traction was made up of 35 Class 87, 15 Class 90, and 16 of the earlier Class 86 type plus the required DVTs. The High Speed Trains used to cover diagrams between Euston and North Wales were also retained. A range of sleeping car services had been operated in the period since the route was electrified, but by 1997 only the Anglo-Scottish services remained, and these had absorbed the former operations between London King’s Cross and Scotland that were withdrawn in 1988. There had been a continued decline in use and, as a result, the services were not included in the Virgin franchise. They were instead transferred to Scotrail, as it was considered there would be more effective marketing that way. More recently, in 2015, a further devolution has taken place with the Caledonian Sleepers now run as a separate franchise to improve management focus on the operation. The situation for daytime services was not much better and reached a nadir in 1988. In response to competition from airline shuttle services, BR thought that once the East Coast route was electrified and the link via Carstairs to Glasgow was available, it would reduce the status of West Coast services by adding additional calling points so that some stopping services could be withdrawn to save money. The requirement that the InterCity sector should operate without subsidy was also leading towards a decision to accept that to attract higher value business travel, trains using the 440-mile route from King’s Cross to Glasgow Central via Edinburgh and Carstairs could be speeded up to provide a 4 hour 30 minute journey time. In consequence, slower West Coast services covering only 401 miles would cater for leisure market travel at lower fares, with the maximum speed reduced from 110mph to 100mph to lower traction current and maintenance costs. Loss making services north of Preston would then be transferred to Regional Railways and be eligible to receive subsidy. In the event, though, a more positive plan emerged based on the InterCity 250 project. And although this was not authorised, it pointed the way to the future as privatisation removed the barriers to investment that BR had to deal with. When Virgin acquired the franchise, West Coast services were losing money and a subsidy of £77 million was paid in the first year of operations. But by 2002/3, it was anticipated that investment in a new train fleet would mean that a premium could be paid back, which progressively increased to £220 million by the end of the 15-year contract in 2011/12. The ambition was that the best journey times of five hours between Euston and Glasgow would be reduced by an hour, with 40 minutes cut from timings between London and Manchester. There was confidence that by the time new 140mph trainsets with tilt capability were available in 2002, the infrastructure-owner Railtrack would have upgraded the line with radio-based train control that would eliminate lineside signals. It soon became clear though that the work priced at £2 billion was unrealistic. When Network Rail took over from Railtrack in 2002 there was a significant downgrade of the aspirations, with conventional signalling retained and maximum speed reduced to 125mph. Any thought that the upgrade could be completed by 2002 was abandoned and the cost had spiralled out of control to reach £8.8 billion by the time the ‘Very High Frequency’ timetable was introduced in 2009. This finally enabled the benefit of the Class 390 ‘Pendolino’ trains to be exploited, with 11 services per hour operating at peak times. The new timetable reduced the journey time between London and Glasgow to 4 hours 10 minutes, while three trains per hour were provided between London and Manchester with a running time of 2 hours 10 minutes. The introduction of the ‘390s’ was achieved on time, with Alstom supplying 53 train sets from July 2002 – although one of these units was later written off following the Grayrigg accident on February 23, 2007. From 2004, ‘Pendolino’ sets were used on the North Wales Coast Line with diesel haulage by Class 57/3 locomotives adapted with Dellner couplings and compatible electrical systems. But when the CrossCountry franchise was respecified in 2007, Class 221 ‘Super Voyager’ units with tilt capability were allocated for use on the services. fleet to provide the necessary rolling stock. Traffic growth resulted in an order sponsored by the Department for Transport for four new 11-car ‘Pendolino’ sets and 62 additional coaches for delivery in 2012 to lengthen 31 of the existing trains from 9 to 11 coaches, leaving 21 sets running in nine-car formations. This decision was contrary to the opinion of Virgin Trains, which had sought sufficient vehicles to allow all ‘Pendolino’ trainsets to have 11-car capacity to prevent overcrowding and customer service issues when short notice diagram changes were made. The delay to the infrastructure upgrade caused the original franchise contract to be rewritten on a number of occasions, but the Government intended to run a new competition at the end of the original 15-year term in 2012. The Invitation to Tender was considered a disappointment, as there was little flexibility for bidders to change the use of rolling stock and little encouragement to develop a 15-year vision of how the route might be transformed by investment. West Coast stations are amongst the poorest in terms of national passenger survey ratings and, despite spending £9 billion on an operational upgrade, little was done to improve the passenger experience at these locations. The date set for the start of the new contract was December 8, 2012 after Virgin had been granted a short term extension of eight months for which a premium of £103 million was paid. When the competition winner was announced, it was First Group that had been chosen, which prompted a legal appeal from Virgin. This revealed that mistakes had been made in financial calculations that discriminated against Virgin Trains. As a result, Virgin continued to operate the services. Subsequently it was judged that expertise held by the Department for Transport was insufficient to specify and award franchises as intended, and contracts that then were due to expire were extended until management processes were improved. For Virgin Trains, this meant a revised contract was put in place in March 2013 to run until April 2018. Silverlink, a National Express franchise, was established in 1997 to take over Euston commuter services while the Birmingham area operations that were part of the Centro network became a part of Central Trains, which was also operated by National Express. Changes were required with the speed-up of Virgin services that led to a reduced stopping pattern, and so Govia’s London Midland franchise began operations in November 2007 with an expanded network offering semi-fast services using the enhanced Trent Valley infrastructure to reach Stoke-on-Trent, Crewe and Liverpool. This London Midland franchise has recently been extended, with the contract now running until October 2017. When first electrified, most freight movements on the West Coast route comprised of wagon load operations, which disappeared from the network after the withdrawal of Speedlink services in 1991 – although a small number of residual workings continued until the Dover train ferry was abandoned in 1995. Thereafter operations were confined to inter-modal and bulk trainloads, including motor vehicle distribution. Railfreight declined immediately prior to privatisation as the Government wanted to maximise the financial performance, leaving essentially a handful of Freightliner and automotive services. But once transferred to the private sector, EWS and Freightliner pursued market growth. As a result, the current demand for paths has brought about a need for investment in greater capacity at locations such as Nuneaton. In terms of volume, freight traffic over 24 hours at Rugby in 1988 amounted to 32 down workings, of which 12 were soon to be withdrawn Speedlink services. Today there are up to 46 scheduled trains, which are dominated by container flows. Royal Mail workings continue using Class 325 postal units, although these operations are greatly reduced compared to earlier years. A study of current day working shows how few freight trains are hauled by electric traction now, with operators preferring to use Class 66 or Class 70 diesels for most diagrams to prevent a change of traction to reach terminals beyond the electrified network. Where electric power is rostered, Freightliner allocates a pair of Class 86/6s and DB Schenker one or two Class 90s. The Government’s latest spending plans outlined in November 2015 confirm investment in the full HS2 route to Birmingham, Leeds, and Manchester. Phase 1, which will serve Birmingham, will be completed in 2026 and an accelerated Phase 2a will see early construction of a 43-mile section of route to reach Crewe in 2027 with the Manchester link opening in 2033. As the HS2 plan has matured, there is a greater realisation that the route should be an integral part of the national network. The decision to provide a hub station at Crewe will reduce journey times to and from London by 35 minutes as a result of 225mph running, which will be reflected in improved timings for trains using the existing infrastructure to reach Liverpool, Manchester, and Glasgow. For the latter destination, there is the issue that as the trains built for HS2 will not have tilt capability, the journey time between Crewe and Glasgow will be 11 minutes slower and pathing problems are likely to emerge given the use of the route by trains running at the maximum line speed of 125mph with tilt capability. There continues to be concern at Euston about future capacity for current national network services, especially given longer distance commuting growth and the success of London Overground. 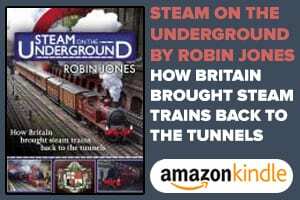 The suggestion that trains could terminate at Queens Park to allow interchange with the London Underground is unlikely to be a viable solution. More contentious is the rejection of a link between HS1 and HS2 to allow through operations from the Continent to destinations beyond London, and the lack of a station at Heathrow Airport where the business case is poor, as it is suggested that airport traffic would amount to only 2% of passengers. Read more Features and News in the April issue of RE – on sale now!